REL, Inc. has added ergonomic elegance to the Glo-Black family of engineered inspection lamps with the addition of the Liquid Nomad and Liquid Magnum. 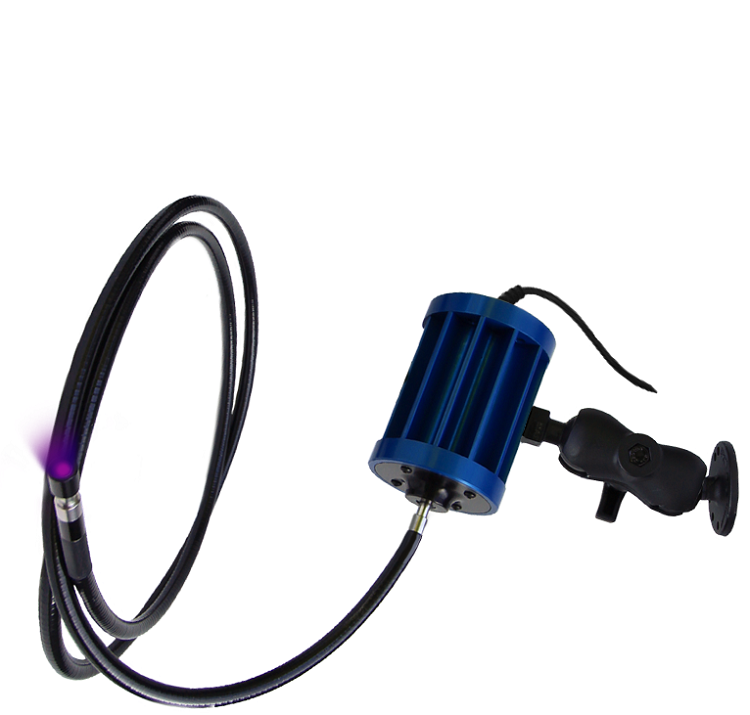 These two lamps were developed to address Operator Safety and rigorous precision demanded during the inspection of complex part geometries encountered in FPI and MPI inspections. Operator fatigue with the risk of carpel tunnel type injuries can happen in a repetitive motion environment with non-natural wrist flexure. Utilizing a Liquid Glo-Black lamp limits wrist forces to less than 2 OUNCES! This allows the inspector to manipulate the powerful photon stream of UV-A radiation with the dexterity and pinpoint accuracy of a surgeon’s scalpel! The 2-meter length of the liquid light guide also allows for the inspection of depressions in surface geometries with high depth-to-diameter ratios while maintaining fingertip control of the 365nm LED UV-A lamp.